It was inspiring to see a video recently posted by the Brain and Spinal Injury Centre (BASIC). 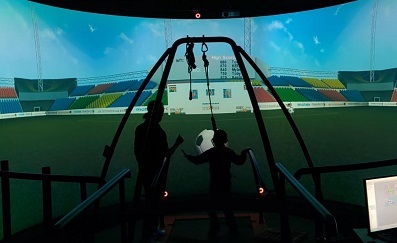 In the video a child, who has cerebral palsy, practises football on the Computer Assisted Rehabilitation Environment (CAREN), improving their scores and enjoying the game. The CAREN was developed by Motek and uses a free-moving motion base, a dual-belt treadmill, motion capture and a virtual reality screen to immerse patients. It can be used for gait and balance training, PTSD therapy, fall prevention training and much more. Take a look at the video below to see the CAREN in action.